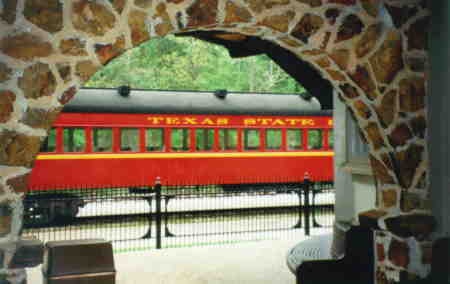 The Texas State Railroad Park is unique in several ways, one being that it is the narrowest park in the United States. It runs along the right of way of an old railroad for about 30 miles in the woods between Rusk and Palestine Texas, two cities Southeast of the Dallas area. 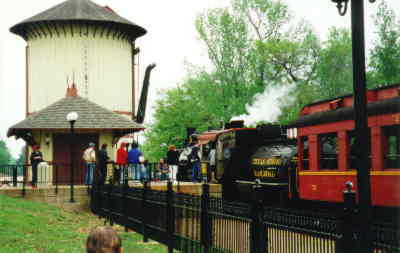 Scheduled trains pulled by steam powered engines make a round trip from each terminus once per day on weekends throughout the spring and summer. 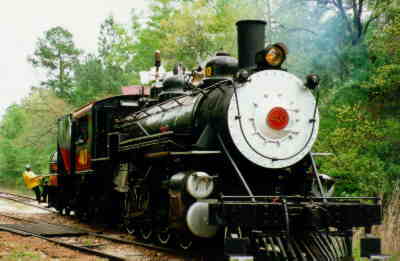 Angie and I have been intending to go ride one of the steam engine pulled trains for ever and ever, but never seemed to get "around to it" (sound familiar?) This year I called up and made reservations to ride from Rusk to Palestine and back on Easter Sunday. 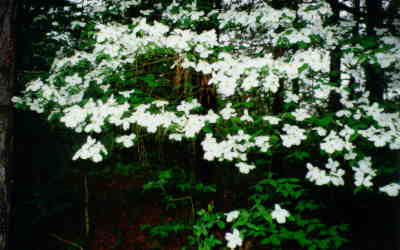 This was an excellent choice for this year at least, as all the dogwood trees were just at the height of bloom, and many wildflowers were also in bloom along the tracks. For a half hour or so before the train departs, they let everyone walk through the cabin of the engine and look over the operation. You actually pass through the engine and then down a portable staircase on the other side. 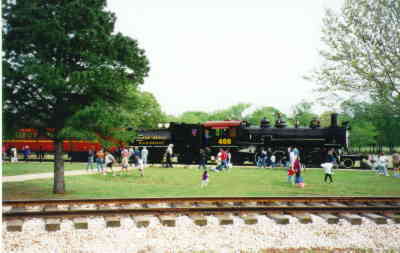 Of course everyone wants to have their picture taken with a steam engine, and we were no exception. 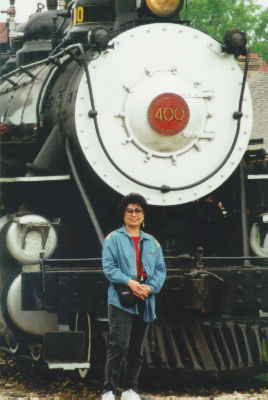 Here Angie poses in front of the engine which pulled our train. Although the train is steam, it is diesel burning, not coal or wood, which surely makes the fireman's job a lot easier! Also means less smell and no cinders blowing on you. The cars are vintage as well as the engine. The first car, the "baggage" car includes a minimal snack bar. 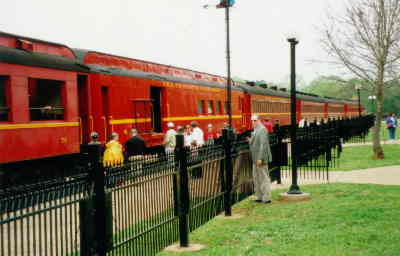 You can also load your large ice chests on board the baggage car and then retrieve your picnic fixings on board or at the far terminal. When you reach the far end, about a 2 and 1/2 hour trip, the engine uncouples from the train and then moves around and hooks up to the other end for the trip back. You get to spend about an hour at the far terminal. If you like, you may place your order, on the train, for sandwiches to be picked up at the snack shop at the far terminal. We took a small "six-pack" sized cooler and snacked all the way, both ways. Ours looked better than theirs! Of course there are picnic tables available at the parks at both ends if you want to picnic there. Actually I'm admiring the train in the Rusk Depot area just prior to boarding. The "Depot" includes ticket agents, freight wagons, just about all the things I remember there being back when I was a kid and my grandfather was a station agent. A snackbar and restrooms are also in the depot. We returned to Rusk and everyone had to get those last pictures. It was a beautiful day, and Angie and I took advantage of it to drive on over to Nacogdoches, taking the smallest state roads we could find on the map. Turned out to be a spectacularly scenic drive. Go try it! You'll love it!